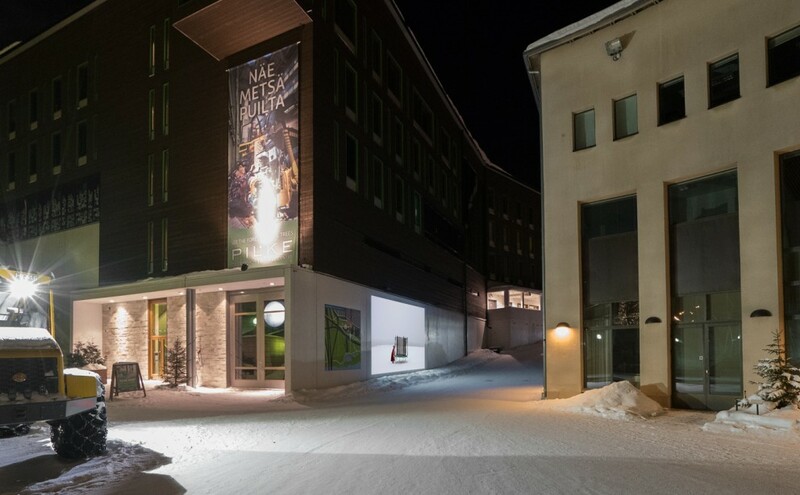 4,5m x 8m projection at Arktikum, Rovaniemi. The Finnish State Art Commission. One of our interests is to make art accessible for as many people as possible. By carrying out video installations in public spaces, outdoors on house facades or street level shop windows, media art can be taken outside galleries and made visible for a wider audience. We’re involved in the curation, planning and execution of outdoor public video art projects. For these we usually use effective laser projectors that have the needed light power and durability. Public video projects can also be done by coating a shop window with transparent projection film and projecting the video on it from inside the building. We also carry out outdoor film screenings by using foldable screens.